France in London | Bijoux: retour aux classiques! 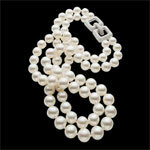 If you are going for traditional understated class, then white pearls are probably the best. These are simple, sober, and go with everything. 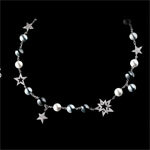 A long chain of white pearls, one or two rows, is usually enough to immediately pull together an outfit. Beware, it is easy to go over board with this look. 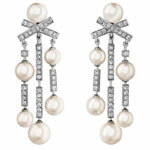 To stay on the right side of fashion avoid matching earings unless you are going for the chelsea twin-set look. 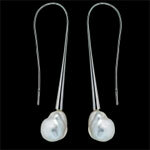 If you really can't forgo the earings, then opt for very simple ones, with just one pearl and without any ornaments. 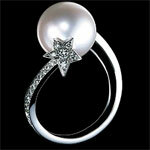 Pearls are also beautiful as part of more sophisticated jewellery. 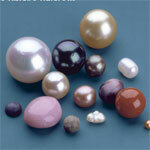 The best match is white pearls with grey gold. 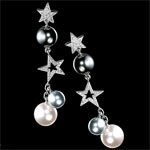 Go for a set of necklace and earrings such as the ones from Chanel. 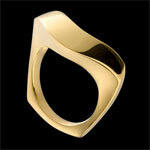 If you want to prefer yellow gold, we would advise you to stay simple. Uncluttered jewellery is particularly classy, just like this unique round necklace from Tiffany & Co or this delightful bracelet from Boucheron. 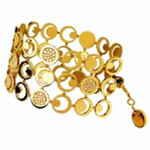 You can, if we so wish, try some more original jewellery. 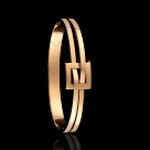 Something fine and delicate is always preferable, such as this bracelet from Fred. 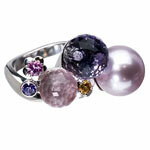 Above all, avoid the too ornate jewellery, with a lot of gems for instance. That is not elegance, just bad taste... 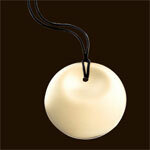 However the mixing of different types of gold, such as this necklace, also from Fred, is more than welcome. 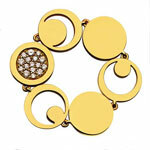 A very big gold necklace can be stunning. 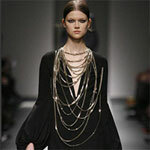 In order to avoid looking like an American gangster, your big gold necklace should be made up of very thin chains, like this one from Givenchy. And it should be worn only with a very simple or black outfit. creators are also using it for shoes and outfits. But beware!